In our article in June 2016, ‘Some promising early signs of Renaissance in Africa’, we wrote about the transformation taking place in Tanzania since Dr John Magufuli became President in November 2015. This President has taken major steps against corruption and also faced long-standing evils such as the killing of albinos for ‘Muti’. In this case over 200 Witch Doctors (sangomas) have been arrested because of their links to these terrible crimes. Our previous article outlines some of the major steps taken so far by President Magufuli. Removed 10,000 ‘ghost workers’ from the government payroll. Sacked corrupt officials at the main hospital. Cancelled hiring of expensive hotels for government meetings. Cancelled expensive Independence Day celebrations and used money to purchase hundreds of beds for hospitals where patients were lying on floors. 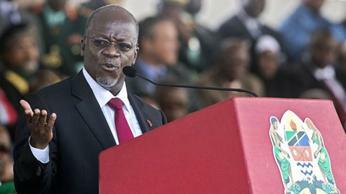 The latest action by President Magufuli is the sacking of nearly 10,000 civil servants found to have fake academic certificates. The President said “These people occupied government positions but had no qualifications...they robbed us just like other common criminals” He also asked newspapers to publish the names of everyone on the list and has given those on the list until 15 May to resign or face legal action. In the Bible we read in many places that God blesses nations when their rulers seek justice, honesty and God initiated morality and show genuine compassion for the needs of the people. It is therefore no surprise that President Magufuli’s God centred morality has led to more government finances being made available for upliftment projects, instead of going into the pockets of a few corrupt individuals. God is also blessing Tanzania in other new ways. This comes at a time when world supplies of helium are running out. It is a very important gas used in MRI scanners in hospitals, in spacecraft, telescopes and radiation monitors, and for many other uses. 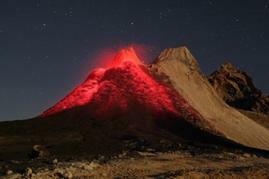 This discovery is associated with the volcanic activity in this region of Tanzania. Tests show there is enough Helium in Tanzania to supply the world for many years and it is believed that there are other deposits in the same area. Some economists estimate that this discovery will bring at least US$3.5 billion to the country. In July 2016 it was announced that an oil pipeline from Uganda to the coast has been re-routed through Tanzania instead of the original planned route through Kenya. This decision by Uganda to now route the oil pipeline through Tanzania to the port of Tanga, is projected to create at least 15,000 jobs for Tanzanians and open up many other business opportunities. When asked why the pipeline route had been changed from its original route through Kenya, a spokesman said that the new government in Tanzania had become a more reliable business partner due to its fight against corruption and its political stability. 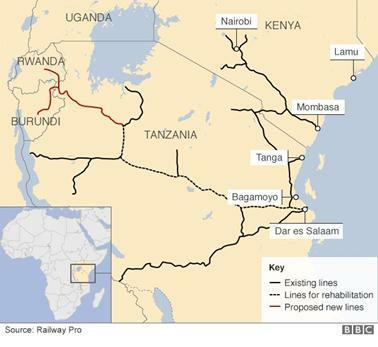 In addition, it is probable that a new railway line will be built parallel to the pipeline, connecting with ferry services on Lake Victoria. This will encourage further development in rural communities. 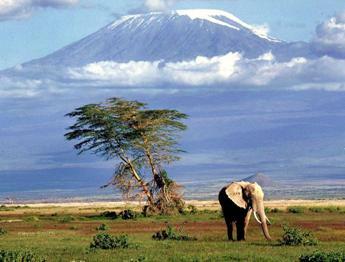 Kenya and Tanzania are competing for the business of land-locked neighbours in East Africa. 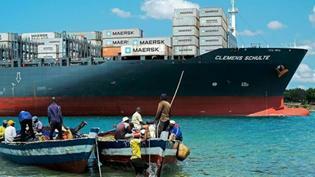 Kenya proposes building an enormous harbour at Lamu while Tanzania plans one at Bagamoyo. Bagamoyo is a little north of the existing harbour at Dar es Salaam. Development of this port and the oil export terminal at Tanga, will also necessitate linking up sections of existing railways and creating new lines. This in turn holds the prospect of stimulating agriculture and other industries in areas previously considered to be remote. In addition to increasing ease of export from their own countries, these ports have the potential of handling containers travelling to and from Uganda, Rwanda, Burundi, South Sudan, Ethiopia, eastern Democratic Republic of Congo and parts of Zambia. 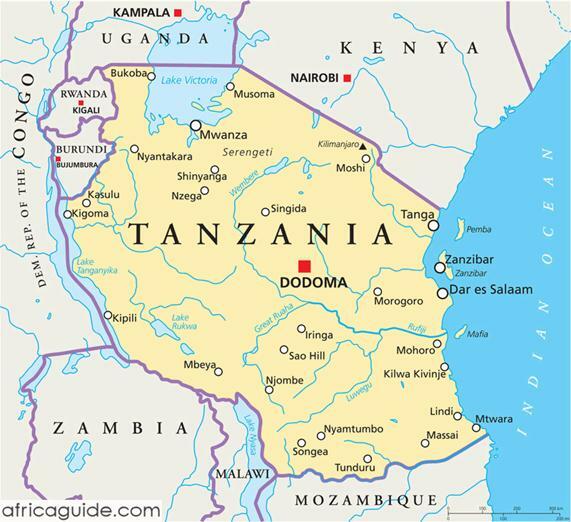 Construction work at Bagamoyo in Tanzania is to begin before the end of this year. A major advantage held by Tanzania is that the developments are made by large international companies rather than by parastatals and these investors have greater confidence in Tanzania’s stability and ability to make decisions rapidly. By comparison, in Kenya the operations are state controlled and investors are often wary of putting money into parastatals known to struggle with issues of corruption. It is interesting that Tanzania has moved away from the principles of African socialism, as espoused by the country’s founding father Julius Nyerere. Tourism potential is boosted by better infrastructure such as roads and railways. This is starting to happen in Tanzania. Tourism had been reduced due to the poor state of roads. Where there are tarred roads these had often deteriorated and had many deep and dangerous pot holes. A joke was circulating amongst some tourists that if you travel in Tanzania at night your vehicle headlights may pick up eyes shining in the road. On getting closer you find that the animal is not a rabbit or antelope but is actually the eyes of a giraffe!. In other words the joke is about the depth of some of the pot holes. In the many parts of Africa where corruption, incompetence, harmful beliefs and selfish personal agendas are still holding back renaissance, Tanzania is becoming an example of how a nation can be turned around when its leaders take God seriously and apply his standards of honesty and compassion for the people they are appointed to lead. In addition, when individual citizens of a country become motivated by a desire for personal honesty and caring for the needs of others around them, they become what the Bible calls ‘salt’ and ‘light’ in their communities. Salt purifies what is not right and light exposes what is not right and points the way towards healing the nation. People like these can be motivated by their faith in God and the knowledge that our Creator encourages us to strive for excellence, reliability, initiative, integrity and the overall quality of love your neighbour as yourself. This kind of selfless love can only grow in us when we allow God to become the central passion of our lives.